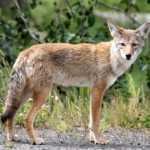 The Board would like to alert all residents about recent coyote sightings. They have been appearing during both evening and daylight hours. In the Springtime, they are raising their pups and roam areas looking for food. VERY IMPORTANT: Do NOT let your kids run around unattended. Do NOT leave pets outside. 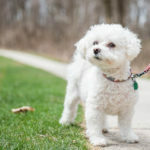 For those who walk their dogs (and cats), please be very mindful of your surroundings. The City of Garden Grove advises if a coyote approaches to make noise, look big, and pick up small children and pets. Do not turn your back to the animal. The City has also established a hotline number to report coyote sightings: (714) 741-5286. Or contact Optimum Property Management, and ask for our property manager, Mark Gardner: (714) 508-9070 x227. The Board thanks you in advance for your cooperation. Again, please be mindful of your surroundings at all times.